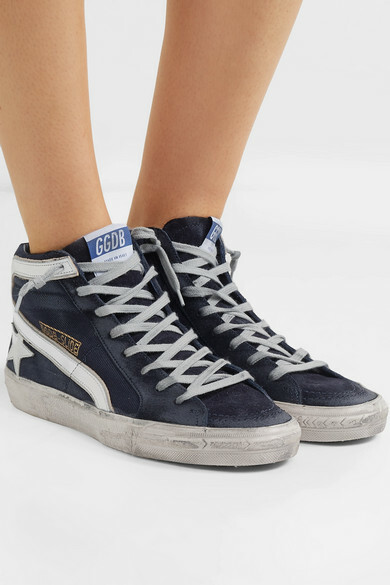 So many designers are California dreaming for Spring '19, but that's always the mood at Golden Goose. 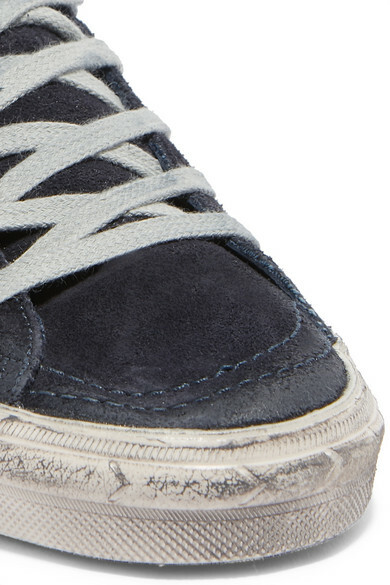 These 'Slide' sneakers look as though they've arrived straight off the boardwalks of Venice Beach with their skater-inspired design. 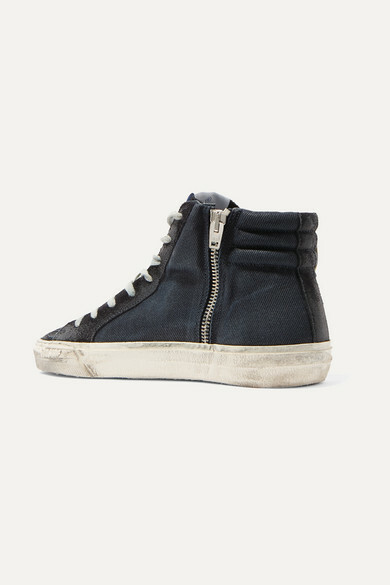 They're made from black denim and suede that's distressed by hand, and finished with leather trims and linings. 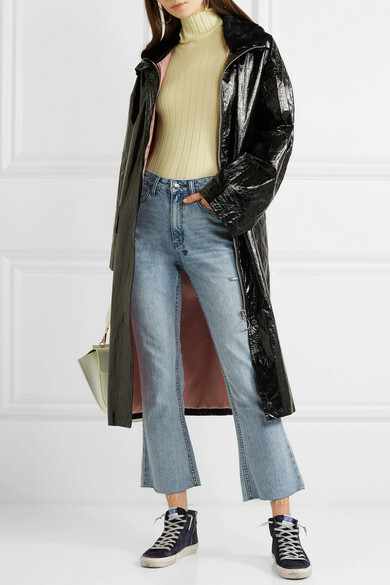 Shown here with: STAND Coat, Petar Petrov Sweater, Ksubi Jeans, Wandler Shoulder bag, Leigh Miller Earrings.